Okay first of all - So. Much. Fun. 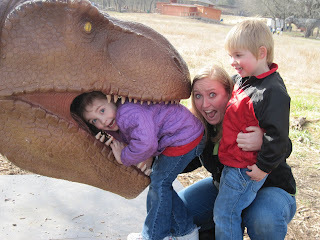 The Scoop: We went with Dave's mom, Neina, and Laura Beth to The Heard Natural Science Museum yesterday. 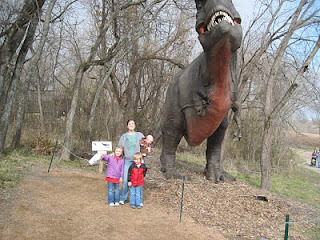 They had a life-sized animatronic dinosaur exhibit going on (seriously) and it was stinking awesome! The Heard has a few miles of trails to walk, and on one of the loops they had dinosaurs stationed at different points. 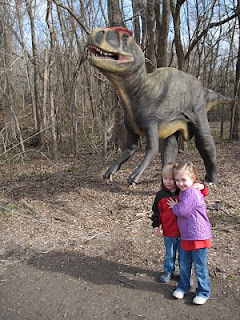 Each dinosaur was life sized and moved around (well, not like walked around, but their bodies and arms and heads moved) and roared loudly. 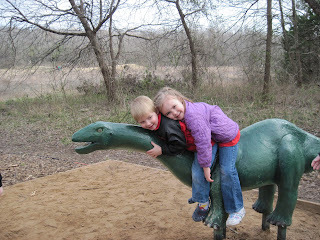 The kids absolutely loved it, and we took the chance to go over dinosaur names and the periods they were from (Jurassic, Cretaceous, yada yada yada), and really just let the kids run wild and freak out when the dinosaurs were loud :). And can I just tell you, all I could think about was how totally nuts it was to think about the size of these things. They. Were. HUGE. Could you even imagine them walking around now? There was also a section where they had live exotic animals. Guys, they had Capybaras. I know this will mean little to nothing to most of you, but it was THE HIGHLIGHT for me. Tot and I just finished reading a book for school called "Cappyboppy", which I can not recommend enough. It's a cute book, cute illustrations, but mostly it's enjoyable to read aloud. I have a hard time finding books that I like to actually read outloud. Anyways, the whole story is about this family that has a Capybara as a pet. 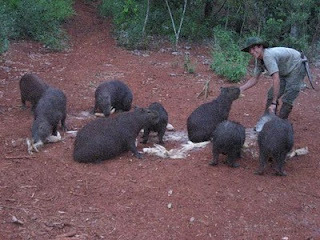 A Capybara is a GIANT rodent -like a 100 pound Guinea Pig. The whole time we were reading the book I thought it was a kindof made up animal, maybe not totally made up, but definitely exaggerated. Then Tot and I looked it up and found out it was completely real, and really that big. So moving on, we were at the Animal Conservation Exhibit, and lo and behold - The Capybara. I jumped around and squealed and showed Tot, thinking about how great of a "Living Book" moment this was, and she was all "Yeah Mom, A Capybara. Whatever. 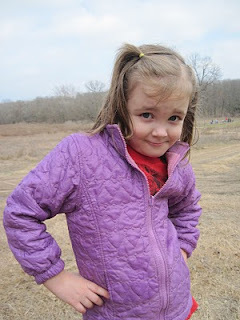 Let's go see that bird." Sigh. At least I was excited. Anyways, on the whole a completely awesome day. We had the greatest time with Neina and Laura Beth, and I'm so glad Neina found this place and invited us. We will definitely be going back often! Tot's Favorite Part: "Ooohhh, the baby dinosaurs. You know, the one I got from the gift shop. And the giant T Rex that moved! 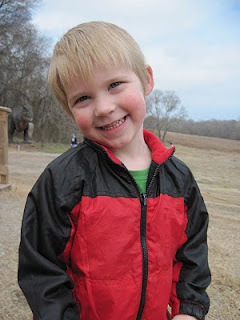 He was soooo adorable! And the real animals!" My Favorite Part: Um, The Capybara. Here is a picture I found on the internet, mine didn't turn out very well. Aren't they awesome?? "ROUS's? I don't think they exist..."
Do your kids watch Dinosaur train?